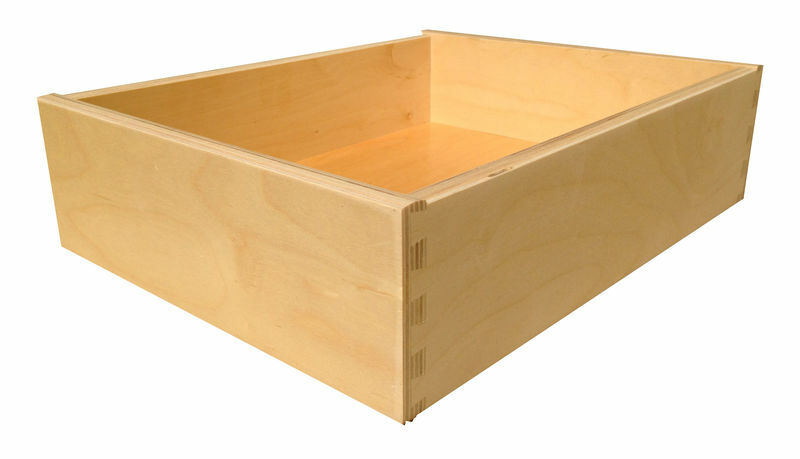 Our Baltic Birch Ply-wood drawer side material is 15mm (5/8" nominal) thick and 12 ply. The top edge has a slight bull nose. 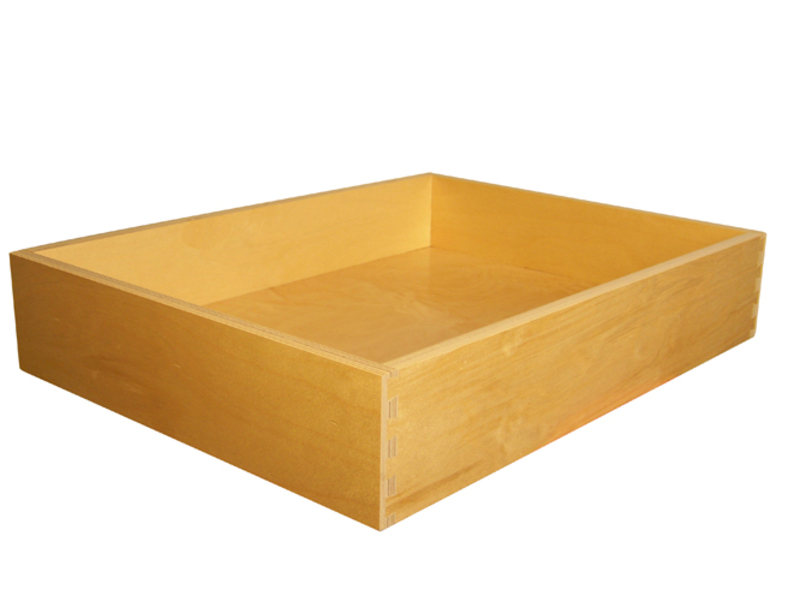 A sturdy, light colored 12-ply material available in 15mm (5/8" nominal). Dovetails are fully sanded smooth and finished after assembly.